Wedding planning is known to be stressful—but it doesn’t need to be! We got the scoop from Kleinfeld Exclusive Designer, Pnina Tornai, on her top tips for avoiding bridal anxiety. Check them out, below. Shop at larger salons for a wider variety. The last thing you want to do is run around from small boutique to even smaller boutique to try on different designers, silhouettes and fabrics. 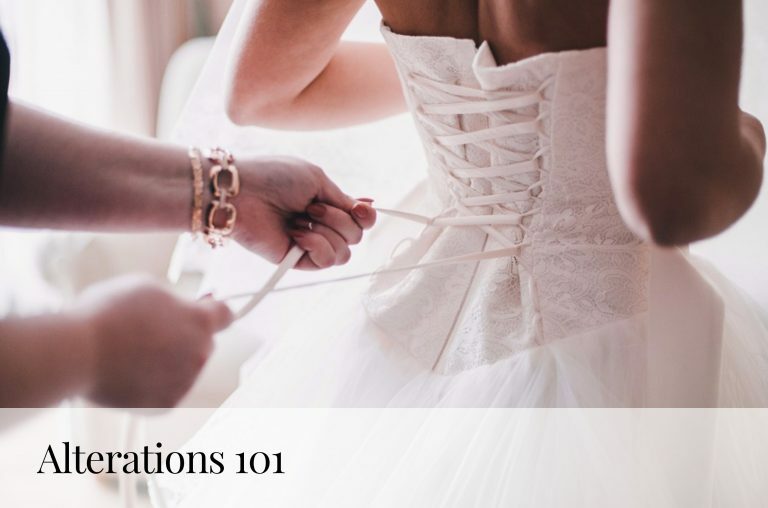 If possible, opt for a larger bridal salon with a wider selection to ease your mind. 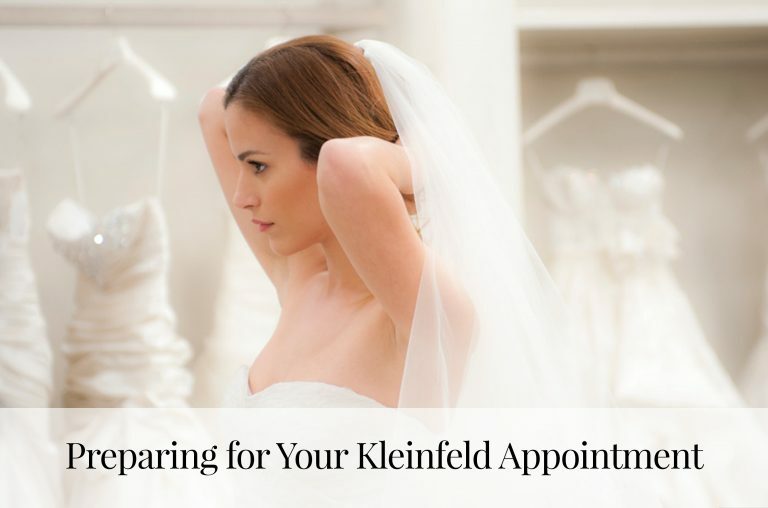 Thankfully, Kleinfeld has the largest selection of bridal gowns in the country and over 60 designers to choose from! Bring only your nearest and dearest to your appointment. Make sure you take the people that you trust most—your mother, sister, best friend, whoever it may be. Don’t bring too many people either though, as too many opinions can make the decision-making process harder. Find ways to destress that make you happy. Whether it’s doing yoga, taking a pilates class, having a glass of red wine on occasion or taking your dog for a long walk, spend time doing things that both destress you and make you happy! Take whatever time you need and dedicate it to your wellbeing. Walk around your house, clean the bathroom, do laundry—all in your wedding shoes! You want to make sure your shoes are super comfy and ready for a night of dancing on the big day. More than anything else, remember that the most important thing is walking down the aisle and marrying the love of your life. Enjoy this time because it’s a once in a lifetime event! 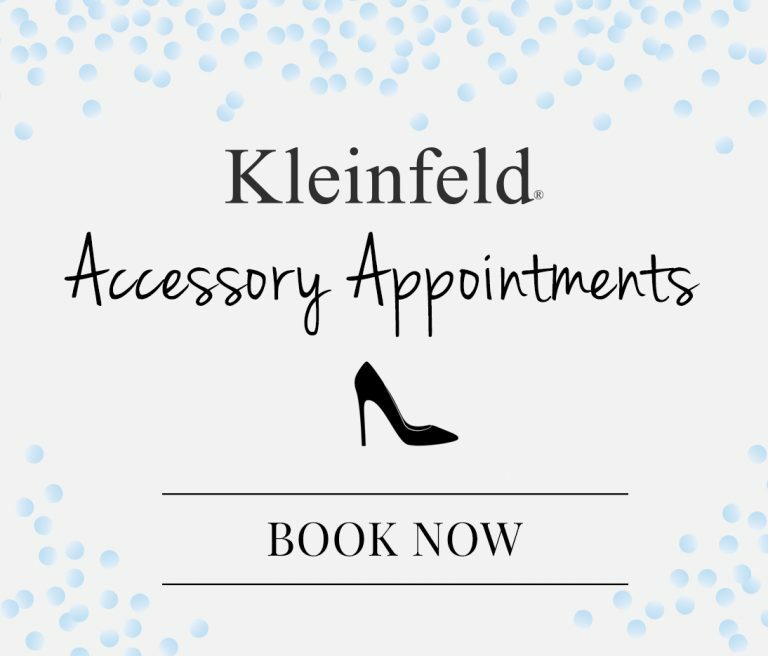 Check out Pnina’s tips straight from her boutique at Kleinfeld, below. Love these tips? Check out our blog for more! Browse Pnina Tornai dresses here.